Are you a broke college student who spends money on pads or tampons? While the most common period products are pads and tampons, other products can end up saving you more money in the long run, notably the menstrual cup. 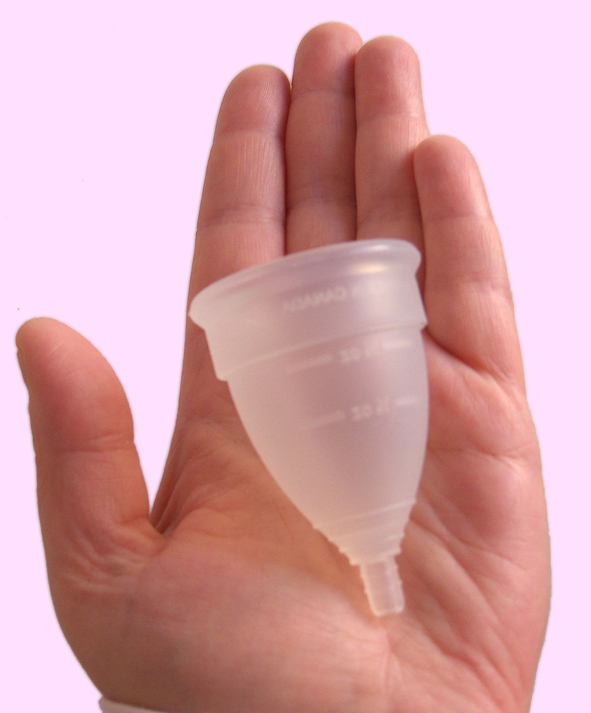 A menstrual cup is typically a silicone device that is intended for insertion when menstruating. The rim forms a seal with the cervix and then collects the menstrual fluid. Menstrual cups can be used for up to 12 hours without removal, but once removed a quick wipe or rinse is enough before reinsertion. In between period cycles, the cup can be boiled in water, soaked in vinegar, or even warmed in the sun to clean it. One of the first menstrual cup designs was originally patented in 1932, using rubber latex as the material. Today, many menstrual cup designs use medical-grade silicone instead, and numerous brands produce menstrual cups of all sizes and prices. Mills student Courtney Charriere outlines why she’s used a menstrual cup for around a year and what benefits she’s experienced. The possibility of getting toxic shock from a menstrual cup is very low as it is not absorbent like a tampon. While the initial cost of a menstrual cup can seem steep, the expensive cups sitting at more than $30, most menstrual cups are good for 5 or more years of use. Their durability outweighs the economic and environmental costs of buying pads or tampons and will eventually save money. Comfort and cost are important, but menstrual cups aren’t for everyone. It can take a while to find the right size and type that fits comfortably, and that could be costly. Learning to use the cup is also a process, Charriere said. Mills student Tate Bissinger has been using a locally produced health grade menstrual cup called LENA Cup for almost a year and agrees with Charriere. Bissinger found a blog that helped her fill in the gaps that the manufacturer’s instructions didn’t cover and now she has switched to using a menstrual cup. However, the internet can also be daunting, as Mills student Meena Marchione found warnings and testimonials of people who had not had good experiences with using a menstrual cup. Marchione first heard of menstrual cups from her mother when she was in ninth grade. Marchione spent a week researching on the internet, then decided to purchase the DivaCup, a popular brand at the time. Like Charriere and Bissinger’s experiences, in the beginning, Marchione also had a hard time inserting the cup as the harder silicone was hard to keep in the recommended insertion shape. “It took some practice to get it in, and then over time it would irritate me,” Marchione said. She kept trying until one time it cut her, and she stopped using the cup. Marchione would not try another menstrual cup but recommends that for anyone interested in menstrual cups not to be swayed by certain dominating brands and do your research. All three recommend doing your own research. If you are interested in trying a menstrual cup, please contact your local health professional for more information if considering a trial period with a menstrual cup and find what is best for you.